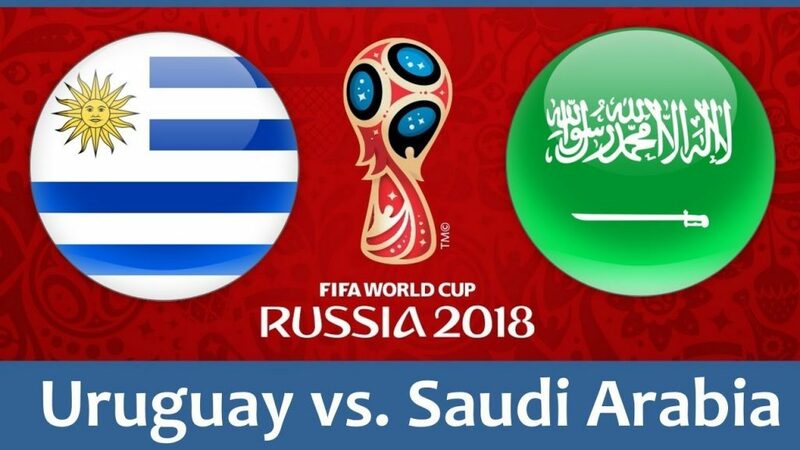 The clash between Uruguay and Saudi Arabia will be played at the Saint-Petersburg Stadium in Saint Petersburg on June 19th. The Sky Blues are huge favorites to take another three points, but the Green Falcons are facing elimination and only a win here would keep them alive at the tournament. Uruguay struggled to score against Egypt as Edinson Cavani and Luis Suarez missed some excellent opportunities, but Atletico Madrid’s defender Jose Gimenez gave his team important three points in the 89th minute after his header met Carlos Sanchez’s cross and beat Mohamed El Shenawy. This goal helped those who backed the Uruguayans at -200, but all the missed chances from Suarez and Cavani meant that the game went under 2.5 goals at -143. On the other hand, Saudi Arabia disappointed in their first game at the tournament as they were destroyed 5-0 by the Russians, and they didn’t even produce a single shot on target, so I am not sure they have something to hope for with Uruguay. At least the Green Falcons didn’t let the punters who played against them down as Russia won at -227, while the spread at -1.5 was easily covered at +145. Not thanks to Saudi Arabia who was completely toothless in the attack, Russia’s five goals sent the tilt well over 2.5 goals, which was a great option to back at +120. Luis Suarez didn’t have the luck to score against Egypt, and one of the best strikers on the planet will have an even easier job in this tilt, so I expect Barcelona’s man to torture leaky Saudi Arabia’s defense. One or two goals for the former Liverpool forward is certainly on the cards here, so backing El Pistolero to score two or more at +200 could turn out to be a great bet. Mohammad Al Sahlawi was entirely cut off against Russia and I don’t believe he will have goalscoring opportunities here as well, but in case you like to play on underdogs, the odds on Al Sahlawi to score anytime are +450. Uruguay: Muslera; Maxi Pereira, Gimenez, Godin, Caceres; Bentancur, Sanchez (Vecino), Nandez, De Arrascaeta (Rodriguez); Suarez, Cavani. Saudi Arabia: Al Muaiouf; Al Burayk, Hawsawi, Hawsawi, Al Shahrani; Al Dawsari, Otayf, Al Faraj, Al Jassim, Al Shehri; Al Sahlawi. Uruguay’s chances to win the World Cup are now at +2800, while the Sky Blues are +150 to reach the quarter-finals. Saudi Arabia’s chances to lift the World Cup trophy are at +500000, while the Green Falcons are +40000 to make it to the quarter-finals. The Sky Blues to win at -625 is certainly not attractive to the punters, but if you take a look at the -2 spread and the odds at -118, you will find out that this is perhaps the best option to play on the Uruguayans here.